Former national player Merenciana ‘Ewon’ Arayi says the Pinay Ballers League (PBL) was formed to give women’s players a league to play in after their collegiate careers are over. A FORMER national player is personally spearheading the formation of a league which women basketball players can call their own. Merenciana ‘Ewon’ Arayi, the one-time member of Perlas Pilipinas, has just formed the Pinay Ballers League (PBL) with the goal of giving women’s players a league to play in after their collegiate careers are over. Arayi, a former UAAP Most Valuable Player from Adamson who played for the national team for seven years, said she and close friends thought about forming the league to give women players an opportunity to build post-college careers in basketball. “In my seven years serving our country being one of the national team members, wala po akong nakita or nabalitaan na may nagpapaliga para sa mga babae. Noon pa lang, I envisioned it na darating ‘yung time na mag-oorganize ako ng liga para meron naman kaming liga after UAAP,” said Arayi. After her final stint with the national team in last year’s Southeast Asian Games in Myanmar, Arayi has held clinics in provinces in the hope of tapping potential talent, but realized that a regular competition is still the best way to develop the sport. “Nag-start ako magpa-clinic sa mga provinces pero kulang pa rin para ma-improve ang program ng women’s basketball. Kaya nag-decide ako na mag-buo ng liga. Naisip ko kasi na maganda kung may mag-iinitiate,” said Arayi. Ten teams have already joined the league's initial offering, namely Philippine National Police, Army, Air Force, Team Kairos, Team Pacman Warriors, University of Makati, Rizal Technological University, Far Eastern University Alumni, Diliman United, and Metro Vixens. Those teams in the elite division, all with former national players and collegiate standouts in their rosters, will play a one-month tournament scheduled to start on November 8 at either the Rizal Memorial Coliseum or Philsports Arena. The Philippine Sports Commission has also thrown its support to the league. 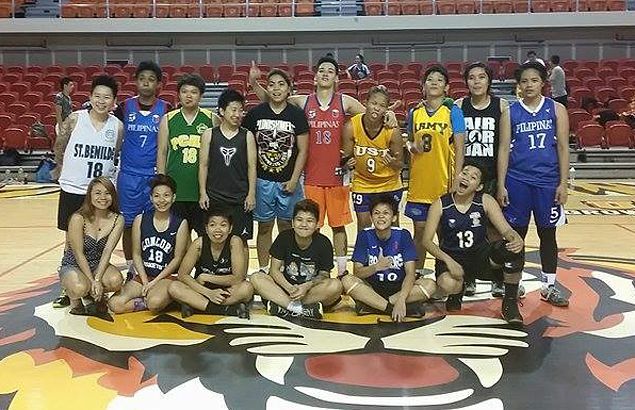 Before the elite division is played, Arayi said a 10-team developmental division tournament is already ongoing, beginning last August and ending on October 26.